Entrepreneurs: Allen Klevens, a composer and founder of Prescriptive Music, and Todd Bermann, founder of audio and video company TAB Technical Services, created Tooshlights, an LED lighting system that lets people know from afar which stalls are available in public bathrooms. The Los Angeles-based company’s system operates on a color scheme: A green light signals an available stall; red, occupied or out of order; blue, an available handicapped stall. “Aha” moment: “The idea fell into our laps from a patron who attended an event at the Hollywood Bowl and was frustrated,” says Klevens, who serves as Tooshlights’ CEO. The concertgoer contacted the venue complaining that despite long bathroom lines, many stalls were actually unoccupied; people were just reluctant to knock or peek under a stall to determine whether it was free. The team at the Hollywood Bowl discussed the issue with longtime contractor Bermann, who jerry-built an early version of Tooshlights based on a wired magnetic system. Seeing the enthusiastic response from concertgoers after the installation, Bermann and Klevens partnered with architect Ella Hazard to develop the system further and to market it to other venues. Loo logistics: Tooshlights uses a patent-pending wireless, infrared-based system designed largely by Hazard. The system uses a universal lock that, once set to the closed position, triggers a signal that changes the light overhead. “The only foolproof way to trigger the light was by putting it on the lock,” Klevens explains. Other mechanisms didn’t prove as effective; for example, an early system based on heat sensors was nixed after a test showed that it failed to be triggered by users wearing hats. Flush with cash: Klevens and Bermann funded the company with their own money, preferring to retain ownership. “Initially, we were going to look for VC money. Now, we’re looking for passive investors who understand the product and want to be part of it,” Klevens says. Hold it: At a concert or sports game, it’s hard to leave your seat for fear you might miss something good. Understanding this anxiety, Tooshlights is developing an app that will allow customers to see how many stalls are available at any given time. 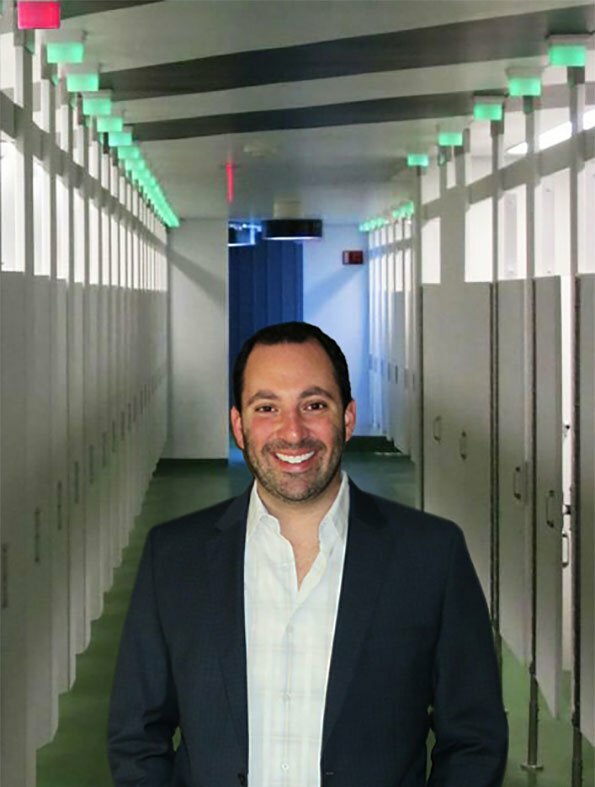 The company is also at work on a back-end program geared toward facility management so that operational decisions can be made based on stall use at specific times; Tooshlights plans to charge venues a subscription fee for the data provided.